Sugimoto is a true exponent of local gastronomy: his cuisine is ｄefinitely French style, but the difference is that he uses exclusively local products whenever possible. Not only this, but I’m sure he is the only French chef in Shizuoka Prefecture to offer local sake, although it is not written on his excellent wine menu! For the month of November he has concocted a special menu for the eighth anniversary of his restaurant with vegetables, meat and fish exclusively from Shizuoka Prefecture. I just could not let it pass and my better (worse?) half is certain to kill me if she learned of my gastronomic escapade! 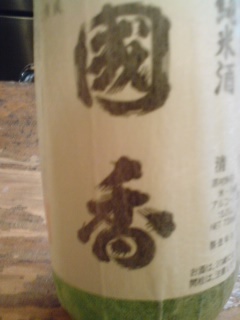 As for the drinks I started with a glass of Kokkou (Fukuroi City) Tokubetsu Junmai. I’m afraid you will have to check my following postings for more details about the sake drunk during this particular dinner, or we will never finish this posting! 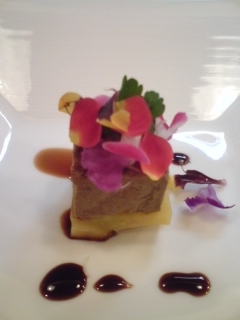 After savouring a consomme made with wild mushrooms picked in the forests around Mount Fuji, I sampled a delicious pheasant liver pate astride a bed of yams soaked in white Port and topped with edible flowers. 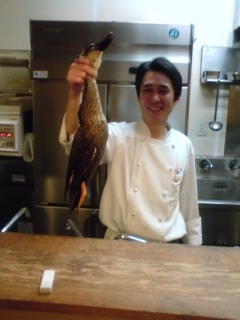 The pheasant was raised by Mr. Horiuchi in Inasa-cho, hamamatsu City. 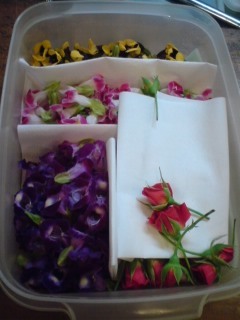 The flowers and yams are also grown in Hamamatsu City. 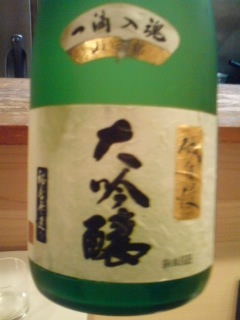 By that time I had already downed Kokkou and asked next for Isojiman (Yaizu City) Daiginjo. It went down perfectly with the plate of steamed vegetables with a supremely light sauce (secret, I’m afraid). 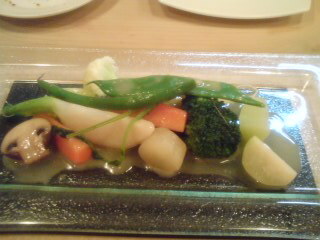 The vegetables are grown by Mr. Kaneko and his “Migata Hara Yasai” friends in Hamamatsu City. 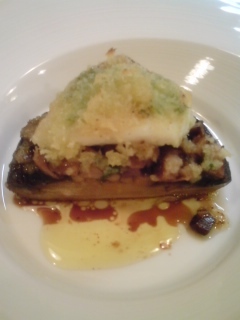 The fish, “matodai” from Suruga Bay, was served atop an extraordinary sauteed “Portobella Mushroom” (about7~8cm diameter! ), half of it sauteed as it is, the other half chopped and sauteed lying under the fish. 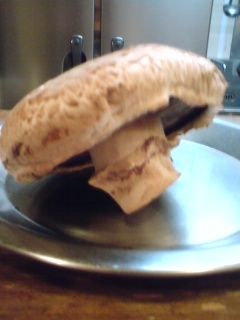 This particular mushroom is cultivated by Mr. Hasegawa in Fuji City. 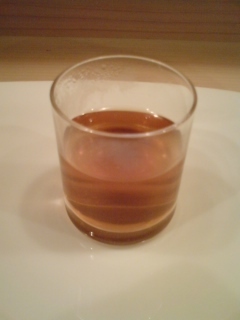 As for the drink to accompany the main dish, I was offered a glass of Tomizzo by Hatsukame Brewery (Okabe Cho, Shida Gun). 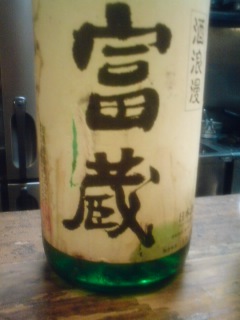 It is a Junmai Ginjo. 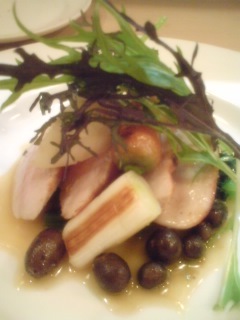 Then came the pheasant roast from the same bird whose liver I was served at the beginning of this repast, a beauty served with bio vegetables grown by Mr. Matsuki in Shibakawa Cho near Mount Fuji and a sauce concocted with Honey Mead from Germany! By then, I had to give up on any dessert and drank a coffee before “returning home”, replete and happy!